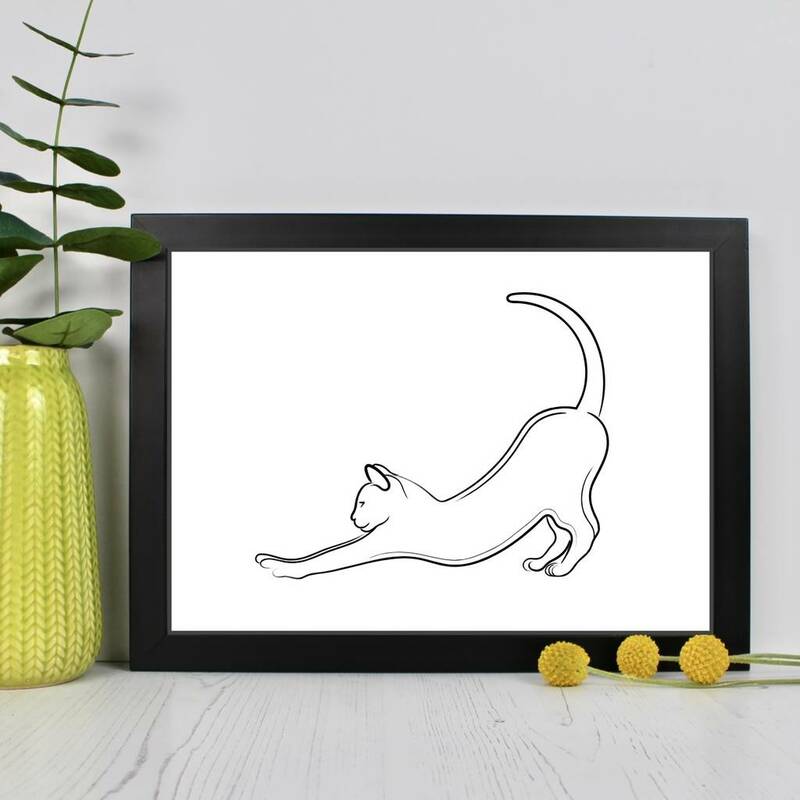 This beautiful stretching cat line drawing print is available in ten colour combinations and two sizes. A beautiful gift for any cat lover. The elegant line drawing features a cat stretching out and arching it's back creating beautiful curves and lines. 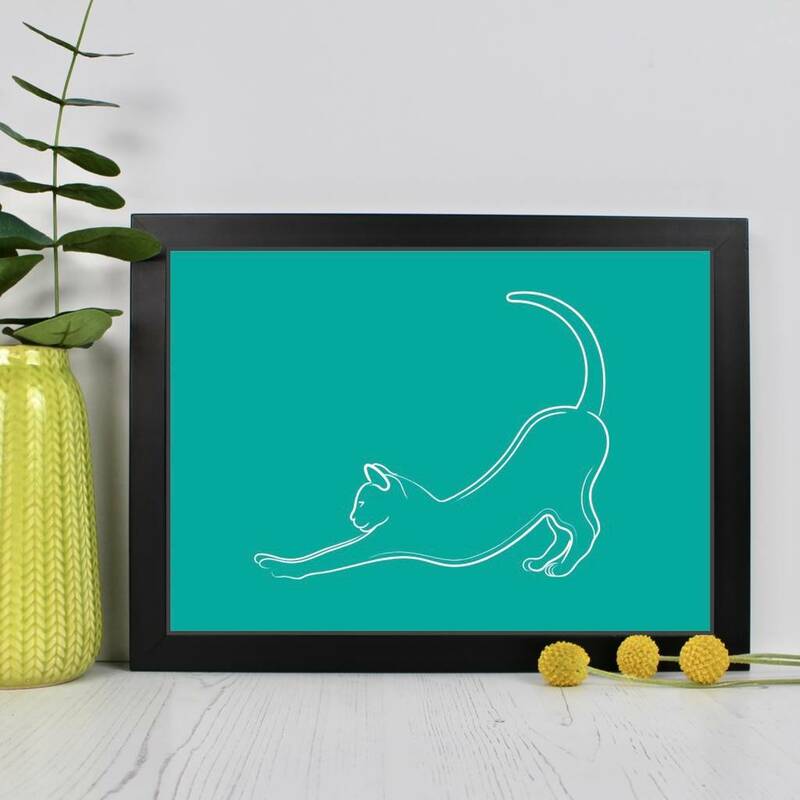 It would make an attractive feature on any wall and a lovely gift for any cat or animal lover. The print is available in both A4 ( 29.7 x 21 cm ) and A3 ( 42 x 29.7 cm ) sizes and ten coloured combinations. You can make your choices using the options on the right. It's packed with a backing board and plastic sleeve for protection and is delivered in a sturdy card envelope so that it will arrive to you in perfect condition. You can choose a colour for the background from white, grey, teal, coral, dark blue, pink, red, olive green, burgundy and the black, grey and white combination .